……………….. Help is Here ………………..
Tag Archive | "credit repair"
What if I Find a Mistake on My Credit Report? Mistakes found on your credit report can be avoided by and/or corrected by following some straightforward procedures. A big part of being fiscally responsible these days is checking on your credit report. Individuals can get a free credit report from each of the major credit reporting bureaus — Equifax, Experian, and TransUnion — every 12 months. Checking your credit report is as simple as having these bureaus send you a copy of your credit report and looking it over. Most of the time, these credit reports are correct. But what do you do if you find a mistake? When you check over your credit report, you need to check each credit card account. The information on the open accounts should match the information you have in your records at home. Check each credit card, including card numbers, balances, and payment histories. If a discrepancy is found, you should contact your credit card company and check your information against theirs. If it is the credit card companyâ€™s error, they will correct it and notify the credit bureaus during their next reporting cycle. If it is not their error, you will need to check with the reporting credit bureau to see if the error originated with them. If so, youâ€™ll need to send the credit bureau a copy of your most recent credit card statement, so that the credit bureau can correct their mistake. Itâ€™s also important to check payment histories. Payment history can help or harm your credit score (your FICO score) and it is important to be sure that these are correct. If you find a discrepancy, find the documentation necessary to prove yourself and send that to your credit card company. These errors may take a little time to fix, but this is something you can do yourself. Check all closed accounts that are listed by the credit bureau on your credit report. Be sure that the credit report shows no balances on those accounts and that all the accounts are closed. If you believe a credit card account is closed, you will need to get proof of this from the credit card company and send that on to the credit bureau in order for them to correct this mistake. If you find an open account on your credit report that is not yours, contact the credit card company and the credit card bureaus immediately. This can sometimes happen when someone with the same name opens a credit card account and it is accidentally attached to your credit report. Once information such as social security numbers and personal information are verified, these mistakes are usually quickly fixed by the credit card company or credit bureau. When dealing with credit bureaus while trying to fix a credit report, itâ€™s a good idea to keep copies of all correspondences youâ€™ve had with the credit bureaus and the credit card companies. These can be useful if the dispute with the credit bureaus or credit card companies is not easily solved. If you find evidence of fraudulent activity or identity theft on your credit report, itâ€™s best to contact an attorney or law enforcement official immediately, as well as to let the reporting credit bureaus know. Fraud is not something you can settle yourself and will need to be professionally handled. Can A Credit Repair Agency Help You? Credit card offers typically overrun the mailboxes of millions of American consumers. 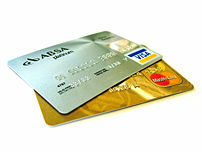 These offers usually make it incredibly easy for those with moderate or even poor credit to obtain a credit card. Sadly, in many cases, poor consumer habits result in maxed out credit card debt and even collection on past due accounts. What can be done to help pay off debt and repair oneâ€™s credit score? Enter the era of credit repair specialty companies. These debt relief businesses offer consumers with credit issues a means to help eliminate debt, clear up credit issues with the three major credit reporting agencies, and start building a good credit history. However, with any industry filled with desperate consumers begging for help, there are good services, bad services, and the ugly services. A good credit repair service will offer to work with a consumer to reduce debt and clear up a credit report. The first step of debt relief is to take all credit cards from the consumer and destroy them. This prevents any further charging on an unaffordable budget. The next step is to work out a payment plan with the credit card companies and other creditors to pay off all debt. A good credit repair service will negotiate lower interest and even convince the lender to waive interest in some cases. This will help you make affordable payments to actually reduce your debt. Each month you pay the credit repair service, and they in turn pay your creditors. The service takes a reasonable fee each month for their debt relief efforts out of your payment. Once the debt is being paid, and ultimately eliminated, through regular payment plans, the credit repair service will ensure that your positive efforts are shown on your credit reports. Once a collection or debt is satisfied, the creditor should report the good news to each of the reporting agencies. However, the lenders donâ€™t always report your good standing, and this can have a continued bad effect on oneâ€™s credit score. However, with the repair agencyâ€™s help, these reports are updated on a regular basis so that your credit score reflects the most current information. These credit repair services can help a person manage overwhelming debt with an affordable payment plan. They will also work to ensure that the good results are reflected on your credit report. However, the downside is that a consumer does need to destroy credit cards and essentially close their credit accounts to enter a reasonable payment plan. Ultimately, it will be up to the consumer to continue good credit practices and try to re-acquire credit. Unfortunately, there are unscrupulous credit repair services that do not fulfill their promises to help a consumer. On the uglier side, there are agencies that make ridiculous promises that are completely untrue, including their ability to remove liens, bankruptcies, and judgments from a report forever. These scammers make 100% guarantees, even stating that they can provide you with a new â€˜legalâ€™ identity. Companies who make such outrageous promises are usually not out to help the consumer, but rather take advantage of desperate people by taking their money and reneging on promises to help with credit issues. If you are looking for help in solving your credit problems, research a repair service carefully. Check with the Better Business Bureau to ensure the company is in good standing. With a good repair agency by your side, you can pay off debt and start over on a healthier credit report. © 2019 The Debt Management Expert. Powered by WordPress.